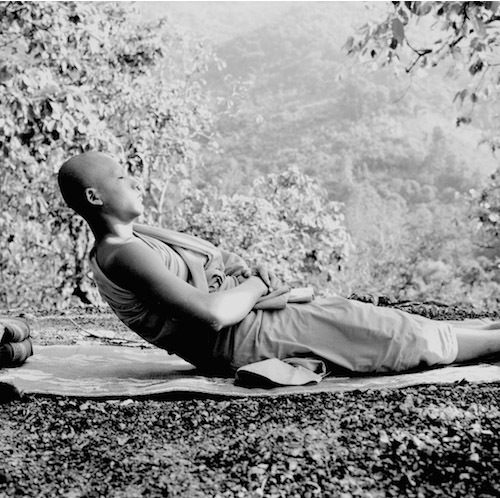 The disciplines of meditation are never far from the life of the Buddhist community in Luang Prabang. 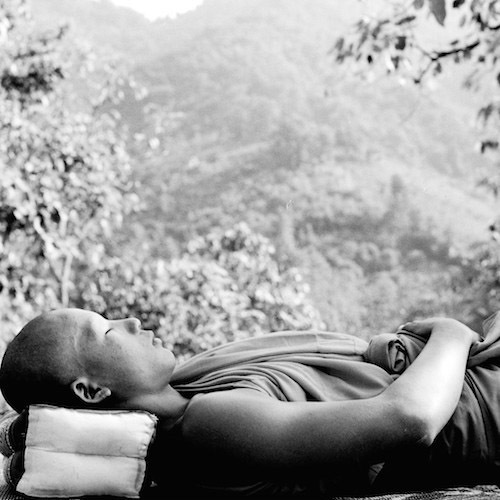 Daily practice and study of meditation techniques are a common pastime. No overview of the cultural life of the community would be complete without reference to meditation. 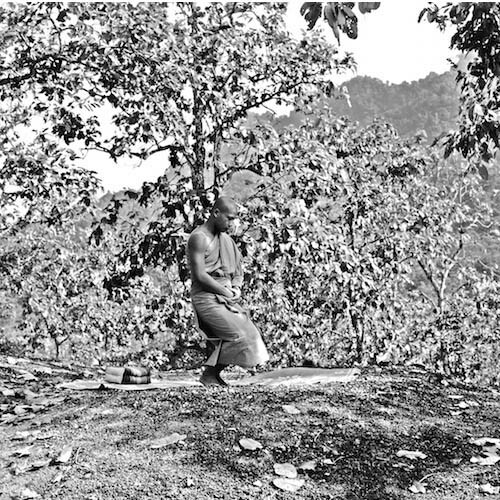 The Buddhist Heritage Project, at the request of the Buddhist Sangha, has mounted a permanent exhibition of photographs on meditation in Luang Prabang. 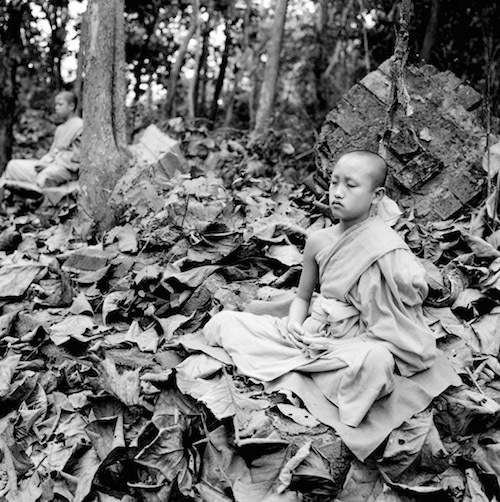 A selection of Hans Berger's photographs made during his ground-breaking community arts project in the 1990's open a window to current Viassana meditation practice. 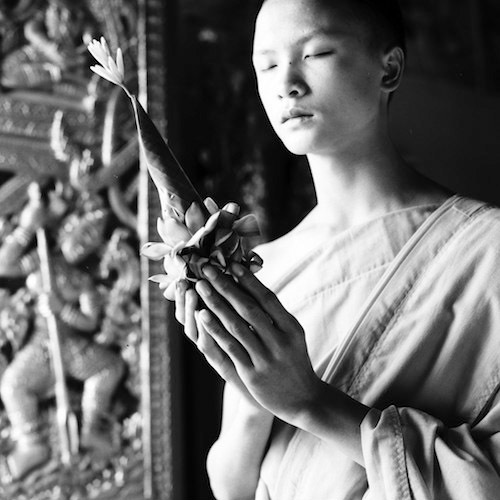 The exhibition also includes a large selection of photographs drawn from the Buddhist Archive of Photography, reflecting an historical perspective on the meditation of notable figures from the past...monks, nuns and novices. 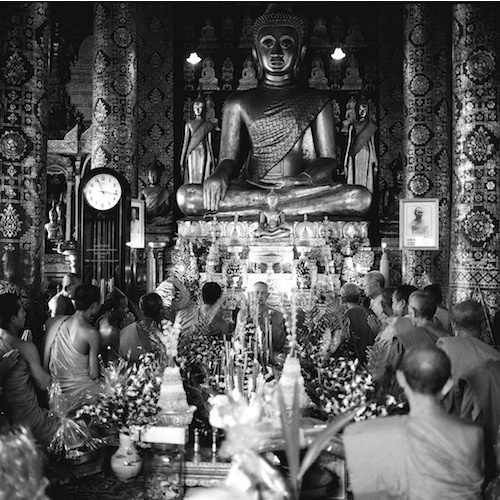 The photographs below are drawn from Hans Georg Berger's work in the Meditation Exhibition at Vat Suvannakhili in Luang Prabang. "In a classic ""Lotus Position"" pose a novice Meditates. 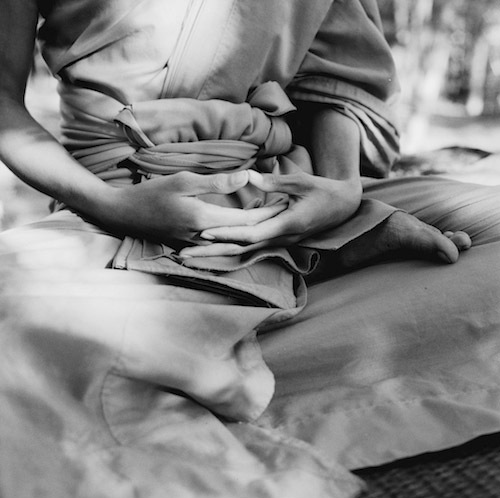 The poise and serenity of his sitting position reflect the elaborate discipline required to archieve the necessary stat of mind during Meditation. Archive No. 3803-03"